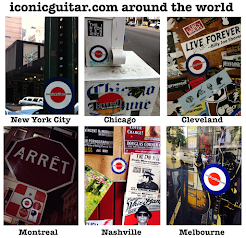 iconic guitar.com: Jimmy Page - Les Paul "#1"
Jimmy Page - Les Paul "#1"
Bought from Joe Walsh in the early 1970s. The neck is thick at the nut and at the neck heel, like a typical 1959 Les Paul, but it tapers to a super-slim depth in the middle. It was that way when Page acquired it, and he hasn't changed it. He did make two other modifications: He put a push/pull pot in the rear volume control that reverses the phase, in order to get a tone like Peter Green or B.B. King. 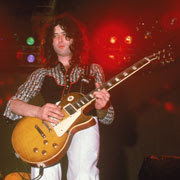 And he replaced the original tuners with sealed, gold-plated Grovers to achieve the exact tuning and sensitivity of the Les Paul Custom he had been playing with Led Zeppelin.